I received a complimentary copy of this book in exchange for a review. This is a time-honored plot–boy likes to read books, boy falls into world of books, adventure ensues. While this may be a simplistic base, there’s actually a good deal of complexity to the way Mr. Fluegel brings things about in this first book of what will obviously be a series. Thomas Travers is the main character, and as a typical scrawny adolescent, when he ends up in a Native American tribe having to fight off an enemy tribe, he’s understandably unprepared. A lot of the book deals with the growth of this character from scared little boy into a young man ready to deal with a real world crises for which he is partially responsible. I thought the book had a good, satisfying ending while still leading the reader towards the next in the series. If it’s one thing I hate, it’s not having an ending as a way to pull the readers to the next book; it frustrates and infuriates me. I’m thankful that Mr. Fluegal didn’t use such gimmicks, but gives the reader a fully satisfying story. There were a couple moments of awkwardness in the plot, but overall this book kept my attention. I’ve read books that felt like a chore to get through. Not this case with this one; it was highly enjoyable. I think this book would appeal to young adult as well as adult fantasy readers. One last thing I noted was a very unusual decision from the writer regarding point of view. Everything in Thomas’s viewpoint is written in first person, while any other point of view is written in third. While this meant the bulk of the book is very immediate to the reader since it is about Thomas’s adventures, it became a little strange towards the end when we visit several viewpoints. I’m not sure if this was a strength to the book or not. Overall, it was well done, so this is mainly a footnote. The prose was clean, and while I could see it being tightened just a little more, for the most part the writing was very good. 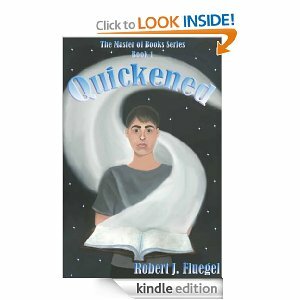 Therefore, on a scale of one to five, I give “Quickened” four stars. I’m pretty stingy with the five stars, so this is actually quite good. I’ll admit it. I’m not a big fan of Facebook or Twitter. I find both to be rather annoying in the way they try to wheedle into your personal life, although I do find Facebook nice for keeping track of family or friends who don’t live close by. Twitter to me sounds like a bunch of radio ads unless you follow someone witty and funny like John Cleese or Misha Collins. However, both as a reader and a writer, I have to say that I really like Goodreads. When I first released my novel in January I did a giveaway there, which so far has resulted in one Goodreads review and a LOT of people adding the book to their “To Read” pile. I’ve joined fantasy and science fiction forums and gotten into discussions about things like dark fantasy, Tolkien’s writing style, representation of gender in fiction, and the availability of good clean fiction. As a direct result of these conversations, I have sold copies of my book. 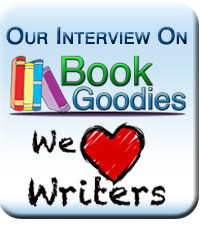 I’ve met other writers and bloggers willing to do reviews or host interviews on their blogs. And I’ve found books that I am enjoying as well. Of all my promotional activities to date, I have to say Goodreads has given me the most back. Maybe it’s because I like the site and I like participating there. If i liked Facebooks, maybe it would do more for me, but I don’t, and it doesn’t. I keep reading the continuing debate between both new and established writers like Joe Konrath, Dean Wesley Smith, and others on the value or lack of value of promoting and having a platform. On the one hand I agree with Dean–if you don’t have a good book, you can promote until you’re blue in the face and it won’t do you much good. But on the other hand, I don’t have complete faith that a good book will find readers no matter what, with no promotion whatsoever. We’ll see what I think in about five years, but for now, I’m going to do both writing and promoting what I already have out there in the effort to build a readership. I enjoy blogging, and I enjoy discussing books and meeting people on Goodreads, and so that is the bulk of what I’ll do. I just purchased some cheap advertising today for tweets from TheKindleReview (@Tweetthebook), posts to Pininterest, and a couple Facebook appearances, all for the low price of $5.00. We’ll see over the next few days if any sales results from that. Not much other news. I was absolutely amazed by Simon’s review of the novel posted last week, and I’ve been getting requests to review the book over at Goodreads. Just wish I could sell a few copies now and then! I’m thinking it may be time to put the book into KDP Select for a while and use the free download days. So if you plan to purchase from Kobo, Barnes and Noble or Smashwords, do it soon! 12186 / 100000 words. 12% done! There are a ton of new YA fantasy books out there, often featuring a teenaged girl thrust into a magical world with lots of cute guys who happen not to be human. (see Twilight). 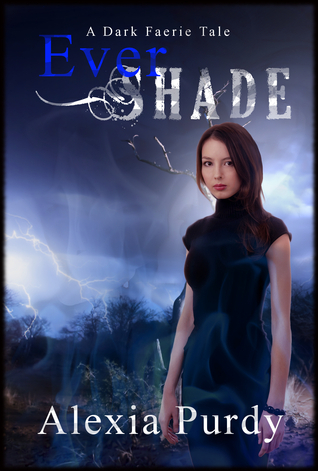 This book follows in that vein, but the twist this time is Faeries and the realms of Fae. The world that Ms. Purdy has created is impressive. She has different kinds of faeries based on their elemental affiliation or powers, including the Teleen who are creatures of lightning, fire elementals, and changelings. What is also interesting is that the land of Fae is the real world; what humans see is only what they let us see. There are vast tracks of wilderness hidden by magic, so the distance from one city to another in California is actually hundreds of miles greater that what we know of. I really like the world that Purdy has created. I think the greatest strength to her book is this world, and she does a good job of introducing and developing it. The rest of the novel is just okay–fairly cliche characters, straightforward plot, and an ending that wraps up a little too quickly and a little too neatly. The book is also in desperate need of professional editing. It seems quite popular with readers, however, so there’s definitely something there. I think part of the appeal are the four or five male faeries featured in the book. I personally like Jack, who acts like an incarnation of Puck–he’s always chipper and can get you out of a bind. Teenage girls probably all like Dylan, who starts out as a grouch but then reveals by the end that he’s not such a bad guy. It’s because I think there’s a gem hidden in there that the typos and grammar mistakes really irritate me. As indie authors we really need to abolish that stigma of self-publishing, that we’ve just thrown together a first draft and slapped a cover on it to sell to the masses. That’s what this looks like. We need to be professionals. Editing needs to be thorough, and words like ‘anymore’ need to be corrected. So because of the rich world but the lackluster language, I gave this three stars on Amazon. As I said on my review there, I may check back with this writer in a few years to see what she has learned of the writing craft. She has plenty of stories left to tell. I am absolutely stunned by this beautiful review of my novel, Heart of the Witch. Amelia suddenly charged the men in the lead group. There were three there, one of which was the older man. Which? WHOM! That should be “one of whom was the older man.” Nobody seems to know how to use “whom” any more. I can’t help it. I was an English major, and I was an English major in college because I have a deep love of the English language. As an English major, grammar was drilled into my head over and over. I know the rules. I also know there are times to break them. I try to be a little lenient when I’m reading books, particularly by indie writers, because I know that like me, they may have trouble paying for copy editing. However, I also know that there are free resources out there like writer critique groups where you can get a lot of good advice. There are also books out there, and websites, to help you with any grammar questions you might have. So when I come across certain things in a book, I get this little mental twitch. It’s the same kind of twitch you might get if a fly landed on you and you want to swat it away but you can’t. It’s an irritating twitch. And what gets me more is that I’ve been reading several indie books lately and I’ve seen this EXACT same error in three of them. Thus the little mini rant. Please, writers, read Strunk and White’s Elements of Style. Know which pronoun to use. Thank you. And a quick reminder! You have until March 9 to get ANY of my short story duos FREE at Smashwords for their “Read an eBook” week, or get the epic fantasy novel Heart of the Witch for 75% off! Enjoy, and feel free to leave reviews!